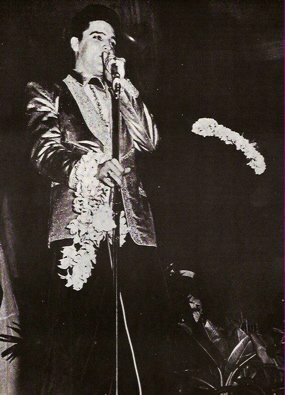 “This is the first time I’ve appeared live in nine years.” That’s what Elvis Presley told his opening night audience at the International Hotel in Las Vegas on July 31, 1969. Actually, it had been exactly 8 years, 4 months, and 6 days since he had last performed live on stage. During the interim, Elvis toiled in Hollywood, starring in an amazing total of 24 films. 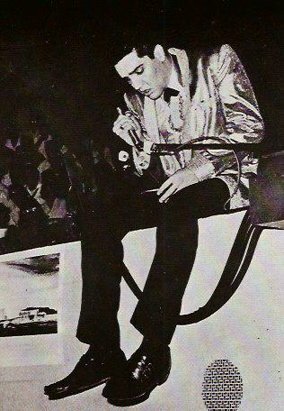 When Elvis walked off the stage in Honolulu the evening of March 25, 1961, he couldn’t have imagined that it marked a turning point in his career. That it did so made that Hawaii concert a key event in his career. 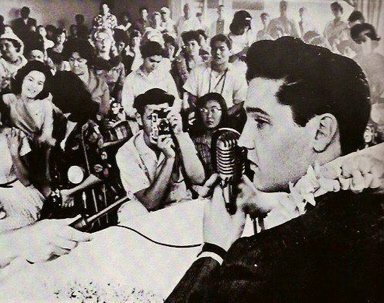 According to Ernst Jorgensen and Peter Guralnick in their book, Elvis – Day By Day,the genesis of the ’61 concert in Hawaii occurred on December 4, 1960, when Colonel Parker read an editorial in the Los Angeles Examiner about the effort to raise funds for a memorial to the USS Arizona in Pearl Harbor. 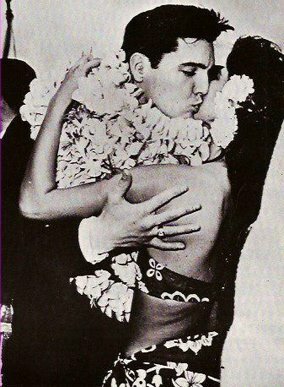 It occurred to Parker that Elvis could perform a benefit concert in Honolulu before filming of his next movie began there in March 1961. After getting the OK from Elvis, Parker began making plans. The Colonel held a press conference to publicly announce the coming concert on January 11, 1961, at the Hawaiian Village Hotel in Honolulu. Bloch Arena at Pearl Harbor would be the venue. Of the 4,000 seats available, 100 “ringside” seats would be sold for $100 each. The rest of the tickets, scaled at $10, $5, $3.50, and $3, would go on sale March 13. “Not a living soul will get a free ticket to this show,” stated H. Tucker Gratz, chairman of the memorial fund commission. 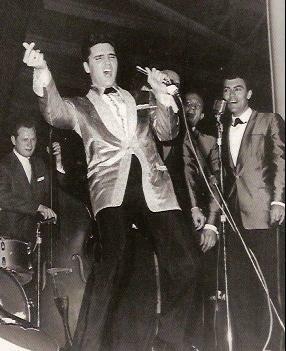 “And that includes the performers, and even Colonel Parker.” Parker said he and Elvis would pay all other performers out of their own pockets, and all expenses would be donated. Shortly after Colonel Parker returned to Los Angles, he announced a couple of changes in the benefit concert’s schedule and seating arrangements. The show date was moved a day earlier to Saturday, March 25. Also, the “ringside” $100 ticket section was expanded from 100 to 300 seats. 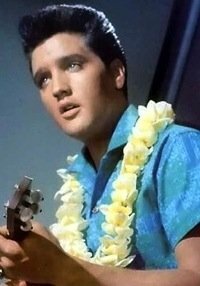 On Monday, March 20, 1961, five days before the Pearl Harbor show, Elvis reported to Paramount studio in Hollywood to begin work on Blue Hawaii. On the same day, his single release of “Surrender” reached #1 on Billboard’s Hot 100. It was Elvis’s fourth straight #1 record in less than a year. The morning of March 25, 1961, Elvis boarded a Pan American Airways jet in Los Angeles to start what he knew would be a long, tiring day for him. Even before the plane took off from LA, an estimated crowd of 3,000 began gathering at Honolulu International Airport to greet Elvis on his arrival. At 12:15 p.m. the plane carrying Presley touched down in Honolulu, and at 12:27 Elvis, wearing a black suit and a ruffled white shirt, appeared at the rear door. The show began at 8:30 p.m., but Elvis didn’t take the stage until after intermission. Among the opening acts were pianist Floyd Cramer, the Jordanaires, jazz saxophonist Boots Randolph, and comedienne Minnie Pearl. After intermission, Rear Admiral Robert L. Campbell introduced Elvis. Gross ticket sales were $52,000, surpassing the $50,000 goal Colonel Parker had originally set. An additional $5,000 check from Colonel Parker and Elvis, along with concessions revenue and additional donations collected at the arena, pushed the memorial commission’s proceeds over $62,000. Although the amount was not enough to complete the memorial, it was enough to prepare the memorial for dedication. “I can assure you that on December 7 of this year there will be a memorial,” stated fund chairman Gatz after all the receipts had been added up. "Elvis was wearing his famous gold jacket with the silvery glints like sequins. He wiggles as much as he ever did. The Army didn’t make him a bit conservative."